Why Fermented And Cultured Foods With Candida? - YeastInfection.Org by Eric Bakker N.D.
You are here: Home / Diet And Yeast Infection / Why Fermented And Cultured Foods With Candida? December 7, 2014 by Eric Bakker N.D.
Those with candida yeast infections can safely eat fermented and cultured foods without fear of eating any of the bad yeasts commonly associated with breads and alcoholic beverages. This is a very important point I discovered many years ago working with candida patients, and if you incorporate these ‘special’ foods into your diet then you will be assured of a speedy and long-term recovery from your yeast infection. Foods that contain probiotic (‘pro-life’) bacteria are those foods that are rich in lactic acid should if possible be added into your Candida Crusher diet to bring back a natural balance to your bowel flora. Foods that have been cultured naturally or lacto-fermented are important additions to the diet of those with a yeast infection, because they contain enzymes and bacteria that help digest food and help the body to eliminate wastes. These foods help to cultivate friendly bacteria in the intestinal tract that in turn aids in digestion, helps to boost immunity and increases the uptake of Vitamin B12. Naturally cultured or lacto-fermented foods are particularly important to eat during pregnancy when a woman’s digestive system may have slowed down considerably, and it is also during pregnancy that many women are prone to vaginal thrush. Many women know that yogurt is good to use as a douche, but not many women are encouraged to eat kefir, tempeh, yogurt, kim-chi or sauerkraut during pregnancy. Cultured foods will not only help to prevent constipation and other digestive problems, I have found them to be and most useful in preventing and treating many different kinds of yeast infections. Have you taken an antibiotic recently? Then why not consume lacto-fermented foods that will help to replace the beneficial bacteria that were destroyed by these kinds of medications. Probiotics are also known as friendly bacteria, they are the microorganisms that normally suppress the growth of candida in the gastrointestinal tract. 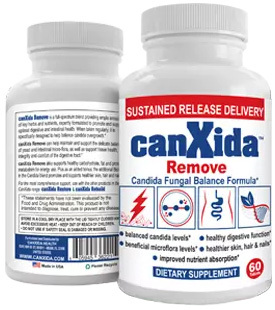 If they are depleted, generally through prolonged usage of certain medications like antibiotics, the Pill, antacids, etc., then the risk of a candida infection increases in proportion. Bad bacteria can also squeeze the good bacteria out, and when this occurs then an overgrowth of candida is almost assured. And how do you squeeze the good ones out? By drinking lots of alcohol and eating a sugar laden and junk diet in general. Be sure to understand the concept of fermented and cultured foods when it comes to eradicating your yeast infection, and please do try to incorporate them daily into your diet, it is a very important concept of the Candida Crusher Diet and can be the difference between winning the yeast battle of just holding your symptoms at bay. This food group is generally fine in all the stages of the diet, although you may find that initially you may find it difficult to have too large a portion size of say for example yogurt or sauerkraut if there are lots of bad bacteria and yeasts in your digestive tract initially, so go slow to start and as you improve you should be able to eat more and varied amounts of cultured and fermented foods. Have you tried to regularly eat foods that have been cultured, other than yogurt? There are many different types of foods from many different cultures that are preserved in these methods such as sauerkraut, Kim chi, sourdough bread, miso and many more. Keep an open mind and experiment, I love sauerkraut but my wife adores Kim chi, originally from Korea. But then again she likes laid back eighties music and I prefer classical. We all have our own individual tastes and it is important to bear this in mind. Fermented foods are foods produced or preserved by the action of microorganisms. They can come about either by fermenting sugar with yeast and produce alcohol, or by way of another fermentation process involving the use of bacteria such as lactobacillus, which includes the making of foods such as yogurt and sauerkraut. Since the by-products of digesting meat and dairy products actively inhibit the growth of beneficial lactobacillus bacteria in your digestive system, and since these congestive foods are responsible to a degree for the accumulated, impacted debris in the lower intestine and colon, fermented foods such as sauerkraut and kim chi should especially be eaten with meat and often are. Try consuming these fermented and cultured foods regularly, and be amazed at the difference they make to your level of digestive comfort, including the reduction and banishing of candida symptoms like bloating, gas, constipation and diarrhea. If you get to include them from now on, and keep on consuming them, you are well on your way to a permanent yeast solution. Do not make the mistake for one moment thinking that fermented and cultured foods actually cause a yeast infection; they are perfectly fine foods to include into the diet for those with a yeast infection and one of the best kept secrets. I’ve heard various natural medicine practitioners over the years telling people to avoid all such foods because they can actually “cause a yeast infection”, but this is simply not the case. Apart from The Body Ecology Diet, I have rarely found this information in any candida yeast infection books and it really does surprise me why not, I guess it is because most of these books were written by those who never actually see patients with yeast infections, and therefore have little experience in seeing the results of their dietary recommendations first hand like I have over the years. Donna Gates experienced first hand what these foods did to her digestive tract, and how they cured her yeast infection, and so did I, I’ve eating sauerkraut for many years and have recommended these kinds of foods to my patients for over two decades. I can see why fermented and cultured foods have received a bad rap, because what you will find is that if a person has a bad yeast infection and they try to stop consuming all the offending foods at once (like alcohol, sweets, soda drinks, ice cream, cookies, bread, etc.) and then start taking probiotics, candida kill supplements and begin eating lots of fermented and cultured foods then they may be in for a rude awakening. Their digestive system simply wouldn’t be able to cope, nor will their liver and they may feel pretty bad. But to blame this kind of aggravation on the cultured and fermented foods is plain wrong. They would have experienced a lot less trouble if they had introduced these beneficial foods more slowly and gradually into their diet. Many pickled or soured foods are fermented as part of the pickling or souring process, but be aware that many are simply processed very quickly and cheaply with brine, white sugar, white vinegar, or another cheap acid such as citric acid. When you buy vinegar, for example, my advice is to spend a bit more and buy a glass bottle of vinegar which you may find on the bottom shelf, if you buy in the supermarket with a good selection, or ask the person at the counter of the health shop for a good organic fermented vinegar. It pays to be choosy where you buy and what you buy, and you always seem to get what you pay for, have you noticed? It is great to see many supermarkets now offering larger ranges of soured and fermented foods such as pickled olives, Kim chi, tempeh, natto, goats cheeses, miso, and many gourmet pickled and soured vegetables in the delicatessen section. This is good news for health-conscious consumers looking to increase their digestive, cardiovascular and immune health, since these traditionally lacto-fermented foods belong to some of the best foods you can eat to build good health. Fermentation is an inconsistent process, and more of an art than a science; so commercial food processors have developed various techniques to help standardize more consistent yields. Many cultured foods today are produced on a large commercial scale like cheese. If you get the chance, try a boutique homemade cheese and you will be very surprised at the incredible flavor. Commercially prepared cheeses just don’t come anywhere near the flavor. Refrigeration, high-heat pasteurization and vinegar’s acidic pH all slow or halt the fermentation and enzymatic processes. If you leave a jar of pickles that is still fermenting at room temperature on the kitchen counter, they will continue to ferment and produce carbon dioxide, possibly blowing off the lid or exploding the jar, which is why, of course, all shelf-stable pickles are pasteurized. It’s probably not surprising that our culture has traded many of the benefits of these healthy foods for the convenience of mass-produced pickles and other cultured foods. Some olives, such as most canned black olives, for instance, are not generally fermented, but are simply treated with lye to remove the bitterness, packed in salt and canned. Olive producers can now hold olives in salt-free brine by using an acidic solution of lactic acid, acetic acid, sodium benzoate and potassium, pasteurized entirely differently from the old time natural lactic-acid fermenting method of salt alone. The emphasis is on quick today. Some pickles are simply packed in salt, vinegar and are pasteurized. Many yogurts are so laden with artificial sugars and processed fruits that they are little more than sweet puddings, have you noticed? Unfortunately, these modern techniques effectively kill off all the lactic acid producing bacteria and short-circuit their important and traditional contribution to intestinal and overall health. As fermented foods expert Sally Fallon asks in Nourishing Traditions, with the proliferation of all these new mysterious viruses, intestinal parasites and chronic health problems, despite ubiquitous sanitation, that it may well be that by abandoning our ancient practices of fermenting and culturing foods, and insisting on a diet in which everything has been pasteurized, homogenized and sterilized from any micro-organisms, we have compromised the health of our intestinal flora and made ourselves vulnerable to legions of pathogenic microorganisms. Like those cheap two-dollar jars of dill and gherkin pickles from your supermarket, are we undermining our health by insisting on fast and cheap foods? If you look, you can still find some healthy traditional varieties of these fermented and cultured foods. The stronger-flavored, traditional olives you are most likely to find in the Greek, Italian or Spanish shops are most likely not lye-treated, and will still be found to be alive with active cultures. So are the locally-crocked fresh pickled olives made in your local Mediterranean deli, as well as the pickles, sauerkraut and other fermented foods you will be able to buy from many of these shops or can easily make yourself at home. Generally, the stronger and more complex the flavor, not counting any added flavorings or other hot pepper flavorings, the more likely that the food will still have active and beneficial lacto-bacteria. So how can you be sure if you are getting the benefits of these active, fermentation cultures? For one thing, you can make your own or buy from a reputable seller like a good health-food shop, for example olives, sauerkraut, miso, tempeh, or Kim chi. There are plenty of great recipes I discovered online when I did a Google search the other evening, I found hundreds of excellent websites, and so can you. In addition to being good for our overall health, reducing carbohydrates and cholesterol, strengthening the digestion and immune systems, eradicating yeast infections and even proactively helping us fight off and prevent diseases like cancer, these fermented and cultured foods are a lot simpler, easier to prepare and enjoy than you might think. Some people seem to think that the term fermented sounds vaguely distasteful, but many others however enjoy these foods every day that are results of ancient preparation and preservation techniques, produced through the breakdown of carbohydrates and proteins by micro-organisms such as bacteria, yeasts and molds. Recent research has found fermented foods to be extremely beneficial to your overall health, so much so that some of these functional foods are now even considered to be probiotics, which can help your health in the following ways. Increase in other immune chemicals that fight off harmful bacteria and even cancer cells. Have You Tried Sourdough Bread, Kim Chi, Kefir, Or Cultured Vegetables? Probiotics are popular these days, in fact so popular that you may think that fermented foods containing beneficial bacteria will be just another one of those quick health fads like so many other diets. The fact is that cultured foods have been consumed for many hundreds and even thousands of years around the world, and those who have consumed these foods were most probably oblivious to the fact that these foods contained simply loads of pre and probiotics. These beneficial live bacteria are found in abundance naturally in fermented foods, and through observation it has been found that those who regularly consume these foods are less likely to suffer from colds or other immune problems, amongst other numerous health benefits. Can I Eat Lentils While on a Candida Diet? In addition to buying the many quality probiotic products today, you can make your own tasty and nutritious probiotic foods with surprisingly little effort or expense. It is well worth the effort you put in to create these wonderfully nourishing foods. Your family’s health will improve and you may well have some fun in making these preparations. I have made yogurt as well as sour dough bread for many years and also enjoy making Kim chi, one of my wife’s favorite condiments for many years now. Thank you for this helpful information. I have suffered for nearly 25 years with rashes, itching and digestive issues. I am finding as much information as I can on the Candida issue. I thought fermented foods were bad for me to eat, so again, thank you. Thanks for the info. My sons candida doctor told him yesterday that vegetables fermented with salt and organic acv are the worst for candida *sigh*. I believe the opposite is true just as you stated here. Do you happen to have a link for a good recipe for kimchi? I’ve only added a sliced jalapeño to my veggies for some spice but would love to try kimchi.